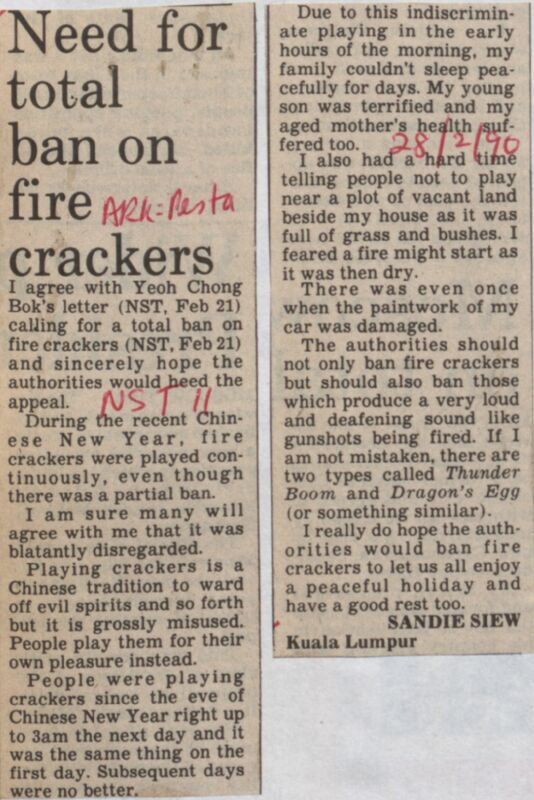 Siew, Sandie (1990) Need for total ban on fire crackers. In: Adat Resam dan Kebudayaan Jilid 2 1990. University of Malaya Library.